The 25th Hong Kong Fashion Week for Spring/Summer, organised by HKTDC, came to a close today. Around 11,000 buyers from 65 countries and regions attended the four-day fair (9-12 July), with buyers from Belt and Road countries such as Bangladesh, India, Indonesia, Malaysia, Russia, Thailand and Vietnam recorded considerable growth. Around fifteen fashion events, including fashion shows, industry forecasting and fashion tech seminars, a buyer forum and a networking reception were held during the fair to generate business opportunities for industry professionals. "The global economy is now facing significant challenges , with the impact of the Sino-US trade friction. 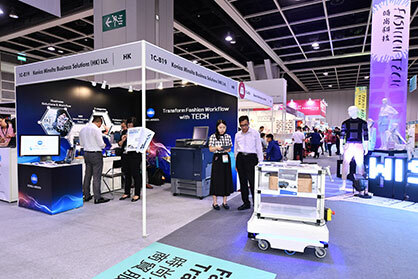 Hong Kong companies should stay competitive by launching diversified products and designs, and by exploring emerging markets," said Benjamin Chau, HKTDC Deputy Executive Director. "Besides participating in trade fairs, they should also engage in promotions with online sourcing platforms and social media, to reach more global buyers. "Fashion and technology have merged and formed a new trend in recent years, where more and more innovative technologies are incorporated in fashion design, manufacturing, sourcing and sales. During the fashion week, HKTDC organised seminars such as 'The Next Wave in Fashion Technology' and 'Online Shopping Reshapes the Fashion Industry' so as to discuss the latest fashion tech applications and explore marketing strategies for online fashion sales, offering useful insights for both exhibitors and buyers." The four-day fair brought the latest market intelligence and fashion tech to buyers and created many sourcing opportunities for the industry. Mohamed Sadhique, a buyer from UAE's Lamia Garments Manufacturing, said that it was his second visit to the fair to source laces and other fabrics. He had already placed on-site orders. "I've already placed orders with two suppliers from Hong Kong and the Chinese mainland that I met last year. The laces order with the Hong Kong supplier is worth about US$250,000, while the order with the Chinese mainland supplier is around US$45,000." He said Hong Kong is an excellent place to source fabrics and expects to develop business with more new suppliers for a mix of laces and fabrics. Despite challenges in the global economy, Hong Kong companies can still attract buyers by launching a wide selection of products to avoid price competition. The Hong Kong exhibitor MsEnvy has joined the fair for many years and leveraged the platform to launch an array of silk womenswear each year to capture buyers' attention. This year, the company offered womenswear with 300 styles to buyers. Jun M.K. Wong, Managing Director of the company, said that a number of new customers including buyers from Canada, Japan, Singapore and other Southeast Asian countries showed interest in their designs. A new buyer from Italy was very keen on purchasing some styles in silk and polyester, and the order was expected to be finalised within three to six months. She also pointed out that existing customers from Italy and Australia returned to make new orders, while the company has established cooperation with another new Australian company to develop new collections. 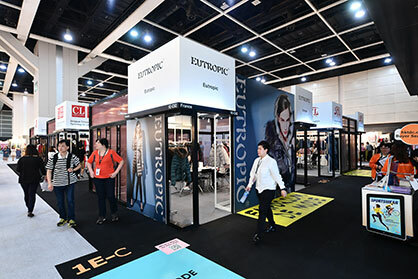 To cater for the demand for sourcing in small amounts, the show once again set up the hktdc.com Small Orders zone, featuring nearly 100 showcases and garment racks with close to 300 products, which are available for orders in minimum quantities of between five and 1,000 pieces. During the four-day event, 2,700 buyers visited the zone and 6,000 connections were established. Hong Kong Fashion Week for Spring/Summer featured some 1,100 exhibitors from 14 countries and regions. The third edition of CENTRESTAGE, a platform for international, especially Asian fashion brands and designers to promote their brands and launch their collections, will be held 5-8 September. Details will be announced soon. Please visit the websitewww.centrestage.com.hk/ for more information. More News from Messe Frankfurt (HK) Ltd.